Ugh, we hate blackheads. Worst! For getting rid of blackheads, thank goodness for our Silver Powder. This unusual product doesn’t attempt to ‘pull’ blackheads out like pore strips (a hollow promise, anyway)—it soaks up the oil and debris that cause blackheads in order to eliminate them. 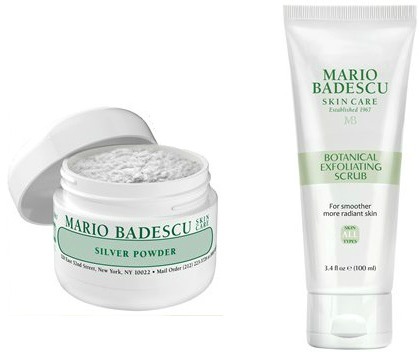 These days, we’re exfoliating first with our *new* Botanical Exfoliating Scrub and then using the Silver Powder. This powerhouse combination is making a HUGE difference in our skin (and that of a few lucky insiders who got to try it in advance)! Thanks for posting this blog!!! Anti aging cream is the best solution to protect your skin from harmful rays, pollutants. Use Derma C and Lumera. These are the best anti aging cream.